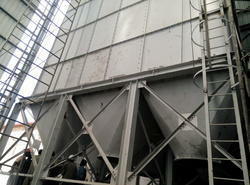 Pioneers in the industry, we offer storage silo and storage bin from India. We offer technologically advanced storage Silo in various configurations and specification that are extensively used in all industry especially for food industry. 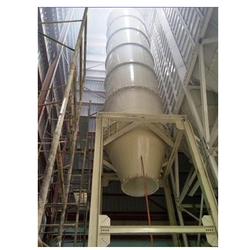 These storage Silo are manufactured using high grade raw material and with high performance it requires very low maintenance. The storage tanks are leak proof, have excellent resistance against corrosion with food grade paint, high temperature effects, acids and other chemicals. We also provide customization as specified by client.